Amy Matarozzo, Young Farmer Committee Chairperson, Christina Murdock, Vice-Chair, and Leandra Pritchard, Young Farmer Co-coordinator visited farms in the greater Concord region including Apple Hill Farm, Highway View Farm, Carter Hill Orchard, LaValley Farms, and Woodward Family Farm. Young Farmer Committee member Theo Mongeau and Co-Coordinator Josh Marshall ventured south and visited Brookdale Fruit Farm, Wilson Farms, Trombly Gardens, Sunnycrest Farms, and J + F Farms. 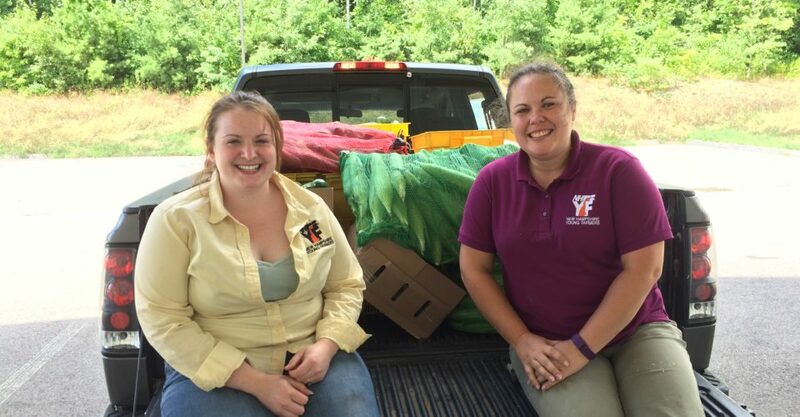 Granite State FFA Officers Jackie Johnson and Justin Roberts picked up produce from White Cedar Farm in Kingston. “The importance of community involvement is vital. The Young Farmers greatly appreciate the time and generosity of our local farmers who went above and beyond to help our communities in need. Thank you all so much from the bottom of our hearts!” said Murdock. The generosity of New Hampshire farmers is even more impressive due to the stressful growing conditions experienced across the state this year. The 7,855 total pounds donated is, by far, the most produce the Young Farmers have seen donated in one day. Nancy Mellitt, Director of Development at the New Hampshire Food Bank, uses a formula to translate total weight into number of meals provided for those in need. 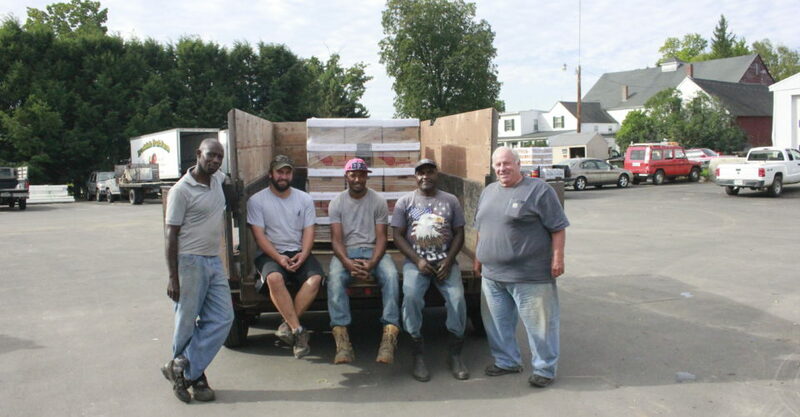 According to that formula, NH farmers provided over 6,500 meals! The Young Farmers are excited to be able to participate in this program each year and hope to see more farms participating in any way they can. “In the future, we hope to work with young farmers in other parts of the state to collect fresh produce. We want to help provide farm fresh products to those in need across the entire state of NH,” said Pritchard. Anyone (young farmer or not) interested in helping in the collection process for future Harvest for All food drives should contact Leandra or Josh in the NH Farm Bureau office. Another day of collection is being planned for late September.